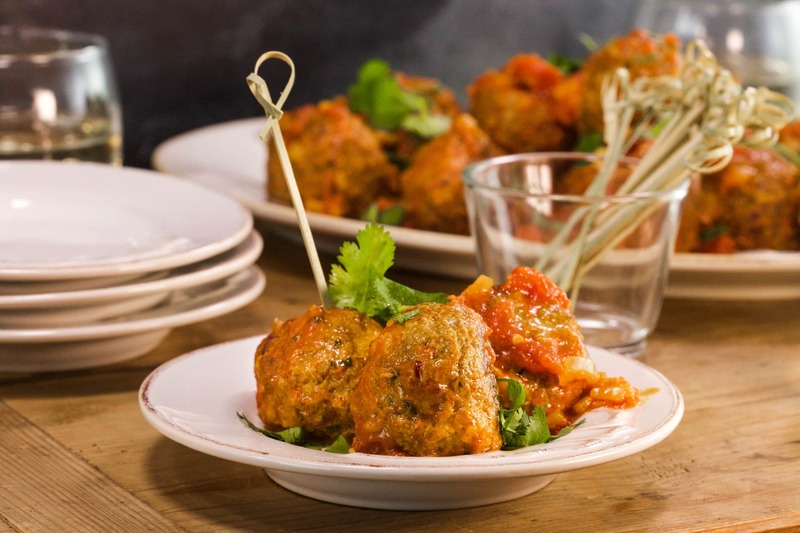 For the meatballs, combine ingredients in a large mixing bowl then roll into balls about 2 inches in diameter. Transfer to a parchment-lined baking sheet and roast 18-20 minutes, until browned. For the sauce, warm stock and saffron to infuse the flavor into the stock. Heat olive oil in a medium pot over medium heat and stir in onions. Season with salt, add bay leaf and cook to soften onions, 5 minutes. Add chili flakes or hot paprika and garlic, and stir for 1 minute. Add saffron-infused stock and tomatoes, and simmer to thicken. Remove bay leaf, add roasted meatballs to sauce and serve. In Recipes-list.com we have selected the most viewed recipes from category - uncategorized . Enjoy the best recipes specially selected for you! Albondigas (Spanish-Style Meatballs in Tomato Sauce) is the right choice that will satisfy all your claims.